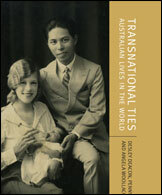 An article of mine has just come out in a new volume called Transnational Ties: Australian Lives in the World, edited by Desley Deacon, Penny Russell and Angela Woollacott and published by ANU E Press. The book is the result of a great conference, Transnational lives/Biography across borders, that was held at the Humanities Research Centre at the ANU in July 2006. The couple had married contrary to the wishes of both their families, and Agnes found a very cold reception from her father-in-law on her arrival in China. Wishing to return to Australia, but with an infant son to look after, Agnes’ plight was exaggerated to the Salvation Army in Hong Kong – and she was ‘rescued’ under dramatic circumstances. I first came across the story in John Sleeman’s White China, but he doesn’t mention Agnes Breuer’s name, or that of her husband, except as ‘Low Mun’. It took a bit of lateral thinking and a ship’s passenger list to find the family’s real name – Lum Mow. Sleeman had referred to a statement given by Agnes to Australian Customs officers when she returned to Australia, so I figured that there had to be some material in the National Archives about it all. More lateral thinking uncovered a file about her husband, known to most in Australia as William Lum Mow – but the file was listed under his Chinese name, Lum Wie. It was one of those lovely fat departmental files that contains correspondence and news clippings and all sorts of treasures. More pieces of the puzzle fell into place when I managed to track down both Agnes Breuer’s granddaughter and William Lum Mow’s neice, who had themselves only recently made contact. Much thanks therefore has to go to Liz McNamee and Jenny Showyin for their generosity in sharing what they knew about the story of Agnes and William. Of particular value to me were the photographs, letters and other documents of Agnes Breuer’s that her granddaughter still had. 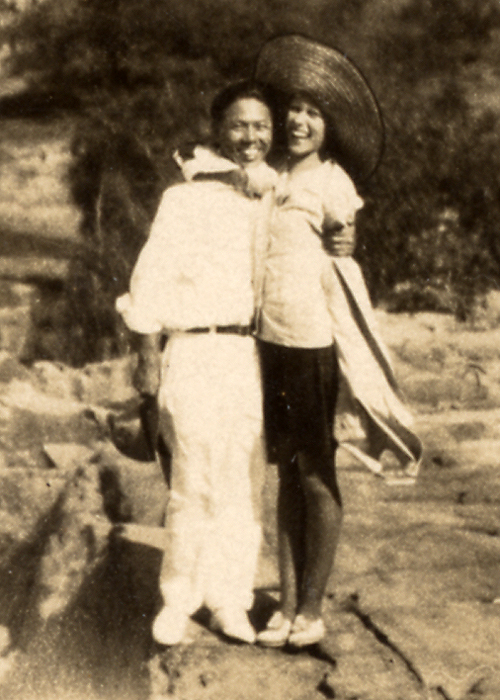 The photographs are particularly wonderful, with a handful of pictures taken in China in 1932 during Agnes’ trip and many more of Agnes and William and their friends in and around Townsville in 1931. A detail from one of my favourites of Agnes and William is below.